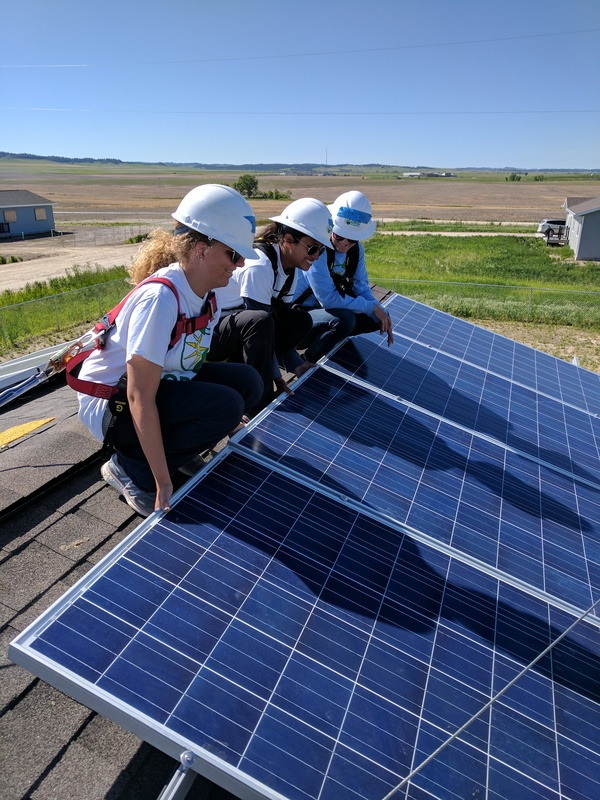 This summer, Ecological Action installed a photovoltaic system on a veteran’s home in the Pine Ridge Native American Reservation in South Dakota. We are thrilled to be partnering with GRID Alternatives, a nonprofit with offices in Colorado in the solar energy industry. They have done some amazing work, including installing 8,177 solar powered systems and preventing over 646,191 tons of greenhouse gasses from being emitted into the atmosphere. As an environmental club, EcoAction is so grateful to be partnering with GRID Alternatives this summer and throughout the school year! Members of EcoAction attended training sessions at GRID Alternatives and cover topics such as solar system design, net metering policies, cultural perspectives, Native American energy issues, and learn hands-on solar installation skills such as conduit bending and tool usage. To be able to tie together a passionate group of Hippie teenagers, an established environmental non-profit, and a reservation that cares deeply about the earth is a once in a lifetime connection that I am sure has sparked a sense of community and deeper purpose in all involved. Thank you to those who donated at our 2017 Songs for Solar Benefit Concert. Without your generous support, none of this would be possible.